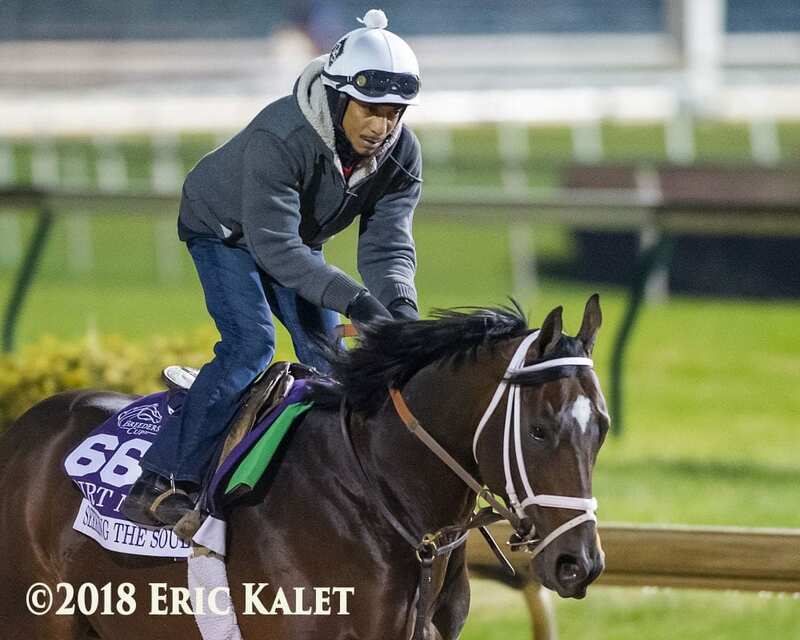 Following their respective second and ninth-place finishes in the Grade I Pegasus World Cup, Seeking the Soul and Tom's d'Etat returned to their home winter base at Fair Grounds Race Course & Slots on Monday and will likely go down different paths for their next start. A runner-up behind City of Light at 34-1 odds, Seeking the Soul could target the Group 1 $10 million Dubai World Cup at Meydan Racecourse on March 30 according to trainer Dallas Stewart. Owned by Charles Fipke, the 6-year-old son of Perfect Soul (Ire.) was bumped at the start, sat well off of the pace and weaved his way through traffic at the top of the stretch to get second. He earned a $1.25 million paycheck from his run in North America's richest race on Saturday, which enhanced his total career earnings to $2,951,042. Prior to the Pegasus World Cup, Seeking the Soul was third behind Leofric in the Grade I Clark Handicap at Churchill Downs in November, a race which he won in 2017. He was fifth in last year's edition of the Pegasus World Cup. A Kentucky homebred, Seeking the Soul is out of the Grade I-place Seeking the Gold broodmare Seeking the Title, who also won the Grade III Iowa Oaks. He is a direct descendant of the undefeated Champion Filly and iconic broodmare Personal Ensign. While Seeking the Soul is taking his show on the road for his next start, G M B Racing's Tom's d'Etat will likely race out of his own stall for his next start and is targeting the Grade II $400,000 New Orleans Handicap on March 23. Trained by Al Stall, Jr., the lightly raced 6-year-old son of Smart Strike was four wide through half of the journey, but was unable to make an effective run when asked. He entered the race off of a tetrad of triumphs which included a local stakes win in the Tenacious Stakes and a trio of allowance wins over the main track. Tom's d'Etat was bred in Kentucky by SF Racing and is out of the graded stakes placed Giant's Causeway broodmare Julia Tuttle, whose dam Candy Cane (Arg.) is a full sister to Grade I winner and multiple champion producing stallion Candy Ride (Arg.). He was purchased for $330,000 at the Keeneland September Yearling Sale in 2014 from the consignment barn of Hunter Valley Farm. This entry was posted in NL List, Pegasus World Cup and tagged charles fipke, dallas stewart, dubai world cup, fair grounds, Meydan Racecourse, pegasus world cup, perfect soul, seeking the soul, tom's d'etat by Press Release. Bookmark the permalink.